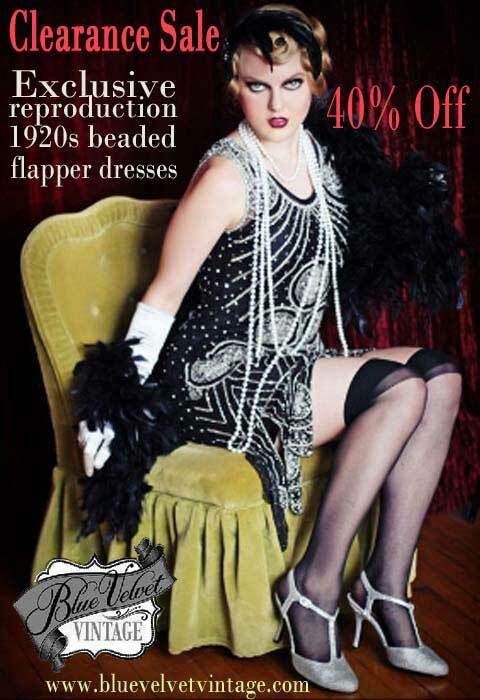 The correct foundation wear for your figure type and shop links to the best vintage style lingerie, corsets, girdles and brassieres. 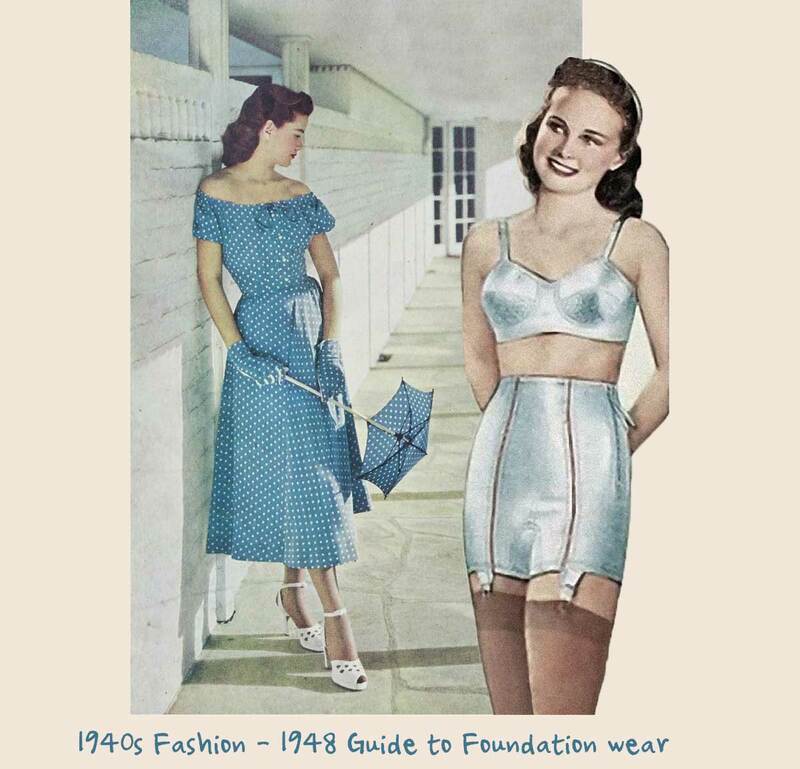 Before you go shopping for that all important foundation garment to fit under your favorite vintage style dress, we thought you’d enjoy reading some excerpts from a 1948 lingerie and foundation wear guide. 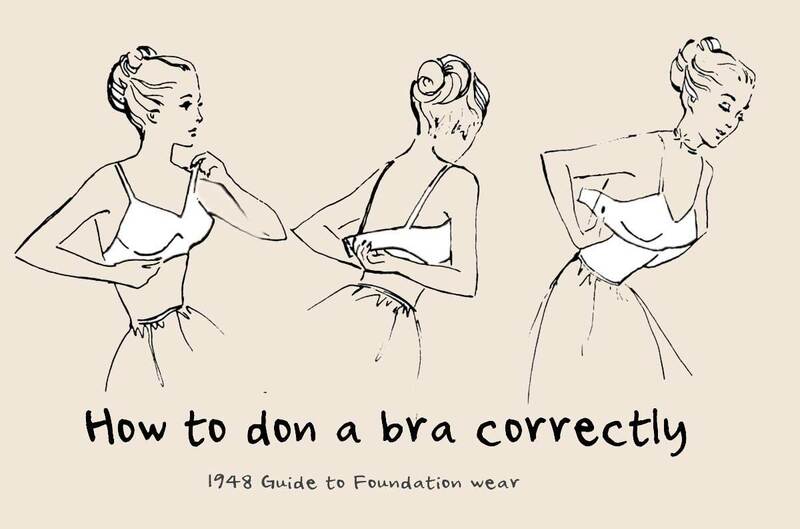 This sterling advice comes courtesy of the Corset and Brassiere Association of America from 1948. 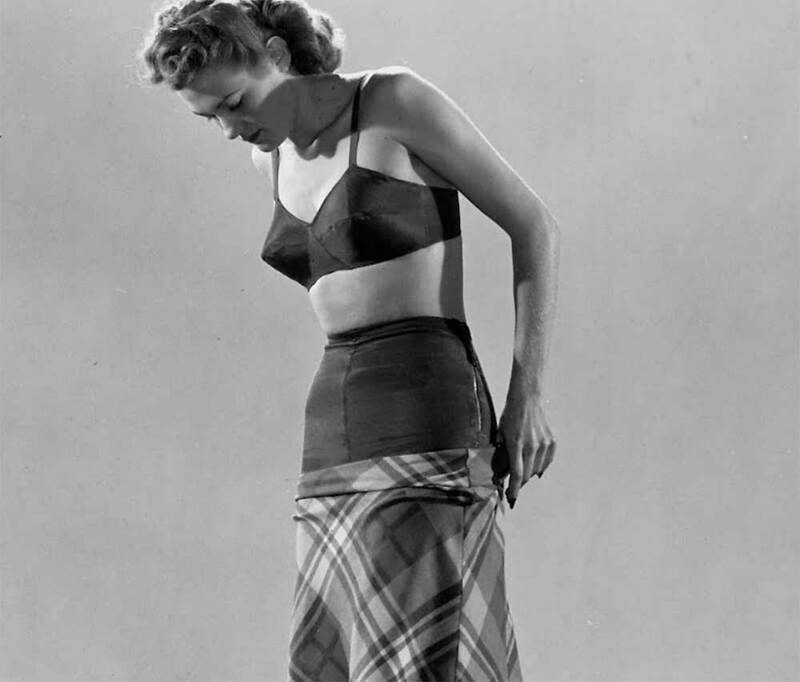 A short helpful illustration of standard underwear in the late 1940’s and of prevailing opinions on women’s control underwear in that era; namely that control garments were beneficial to a woman’s health and figure. Whether you wear genuine vintage as opposed to vintage style clothing, it is well worth considering investing in good foundation wear. 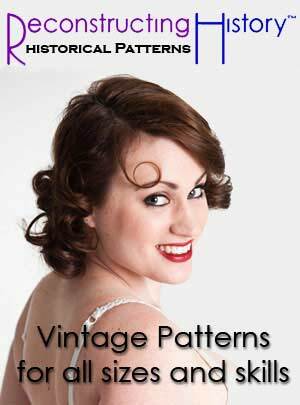 What Katie Did is our recommended supplier of genuine vintage inspired lingerie and hosiery.Their garments have many fans in the movie world including Helena Bonham Carter and Mad Men’s Christina Hendricks. 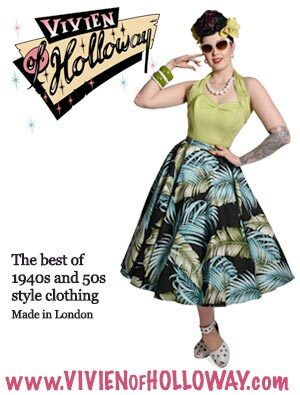 Read on and find out where to get vintage style girdles, brassieres. corselettes and more! 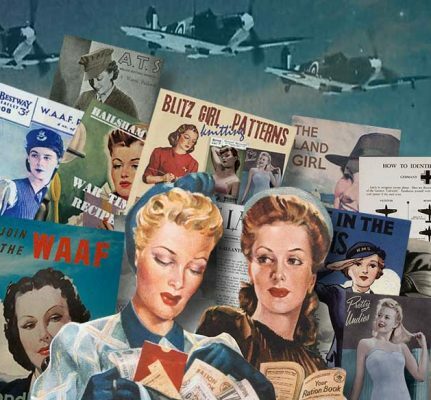 Now that you know where to buy, why not grab a coffee and learn the philosophy as read by women in the 1940’s. Not the least of corsetry’s contribution to health is the part it plays in inducing good posture. The Corset and Brassiere Association of America says health says health and beauty suffer when the shoulders are slumped or the back is not held straight. For the young woman, the Association advises “something light but not confining around the hips to smooth out curves and hide dimples.Her accompanying bra should make bust look normal and natural.” Whether the young woman will elect to wear a girdle and brassiere or an all-in-one corselette is a matter of personal preference. Junior: Small breasts, waist small hips narrow. Misses: Larger but not full breasts, wider hips, narrow waist. Full Figure: Large breasts, hips full and broad, thick around the waist. Misses: bra with supporting band; closer-knit girdle with waist-hugging band; elastic inset sides and back. Junior: lightweight bandeau; pantie girdle with satin front panel. elasticized sides and back. Full Figure: strong, heavy fabric all-in-one garment controls your curves. Boning lends extra support, built-up brassiere molds chest and back flesh. Average: brassiere with good cup separation high-waisted elastic and fabric girdle for maximum control. Junior figures: appreciate the freedom of the pantie girdle. It’s easy to put on, it is refining rather than confining. Also recommended are standard girdles of the one-way or -two-way stretch variety, both in the category of the pull-on girdle. Misses: The need for this figure is proper distribution of weight and firm molding. The bust, usually in “B” dimensions, requires a brassiere with a supporting band to anchor the bra around the diaphragm. Her waistline needs definition. Her abdomen must be kept flat. The hip-line must be kept trim; the buttocks need strict control. Hip spread is the bane of her existence! The Average figure is mature, with bust and hips fully developed. Moderate restraint and control are required. Foundation garments as follows: Brassieres should incorporate uplift features. Flesh beneath the bosom should be confined and a long-line bra can provide this constraint in a comfortable fashion.Since the body is well defined, an all-in-one garment is ideal. Such a foundation ( that is, a corselette or a combination brassiere and girdle) provides smooth fit, maximum control and freedom of action. 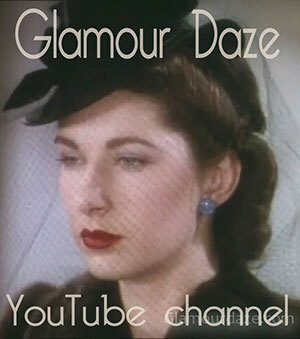 In lieu of a corselette, she can combine a long-line bra and high-waisted girdle. For the Full figure: the advice of an experienced corsetiere is invaluable.She will take into consideration age and figure in addition to her wardrobe needs. Pull-on girdles are not really suited to women with large midriffs; they tend to push any excess weight up around the waist. Girdles which fasten with hooks, lacing or zipper are ideal. Always sit down when trying on the girdle or corset to make sure it doesn’t cut at waist or thighs. Hook the garters to stockings to see whether they need adjusting. Be sure the girdle is long enough to control hips and thighs. 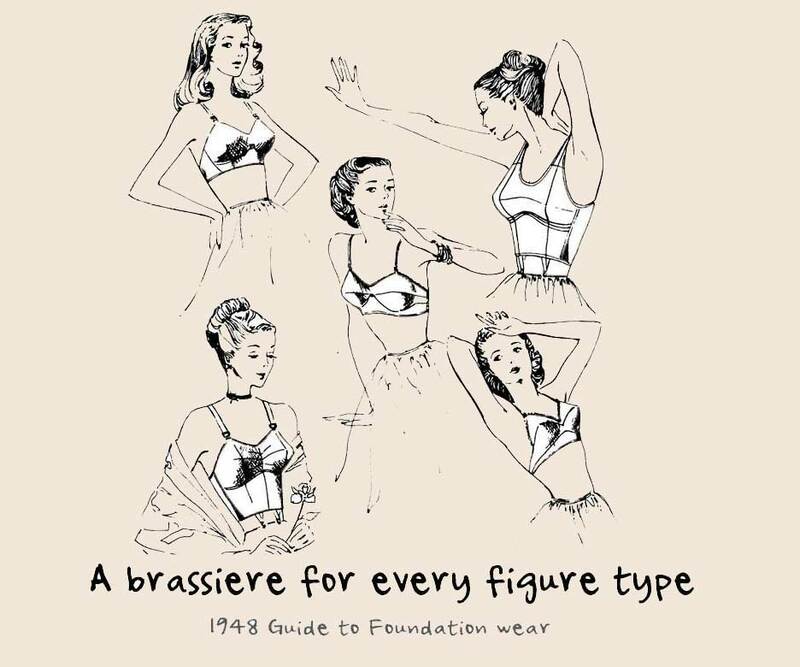 The Correct Brassiere for your figure type. 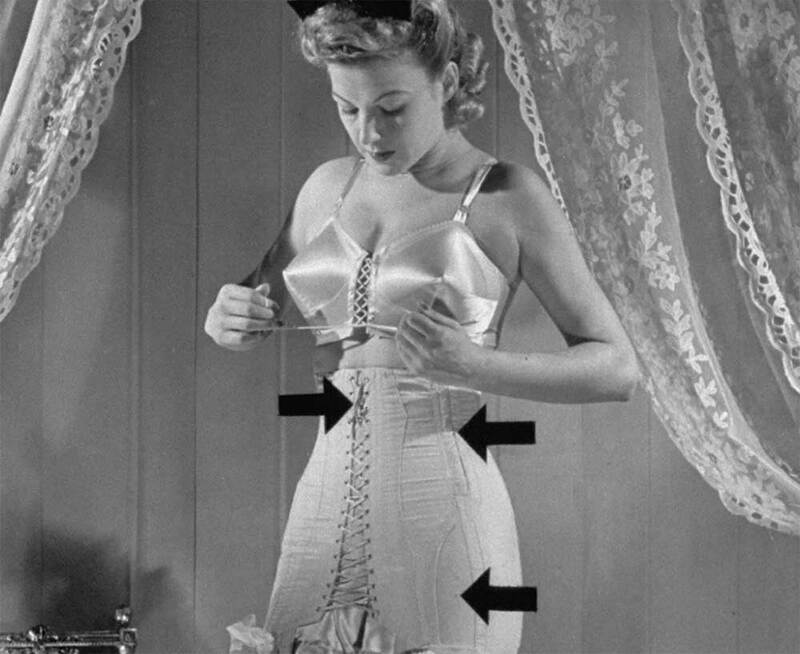 Women are advised by the association to exercise as much care in fitting the brassiere as in fitting the girdle or all-in-one corselette. From a health standpoint, a properly-fitted brassiere is extremely important. 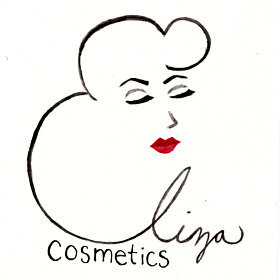 Center: For the average bust, separated cups, with sturdy supporting band is best. Upper left: Inner uplift is a good feature of a bra for the medium-large bust. Lower left: The large bust requires the good support this long-line bra affords. Upper right: Built-up shoulder straps and a strong fabric are the important features of this bra for the pendulous type of bust. Lower right: For the small high bust, select the bandeau type of bra, or one with narrow band. Thought you knew how to don your bar correctly? To put on a bra: One, bend forward from the waist to will bra cups properly. Two, fasten, give band at back a downward tug. Three, adjust straps ! 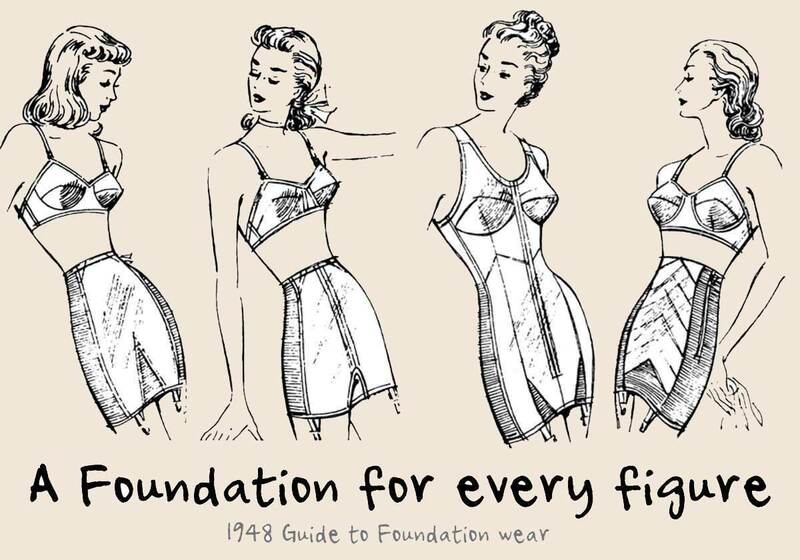 Finally, consideration of one’s foundation garment will enhance today’s post war silhouette. Curves are back and while women will no doubt embrace this return to femininity, they must not sacrifice comfort, regardless of what Paris couturiers decree. Besides presenting a “fine figure of a woman” to the public scene, corsets, corselettes and girdles serve the functional purpose of supporting tissue and bones. 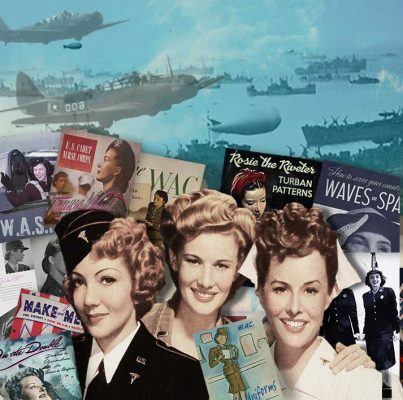 It is the kind of support women have come to depend upon. The following checkpoints should be observed before selection of undergarments: Waist should fit snugly; boning the right length, hips molded properly, length of entire garment well below the buttocks, garters adjusted. 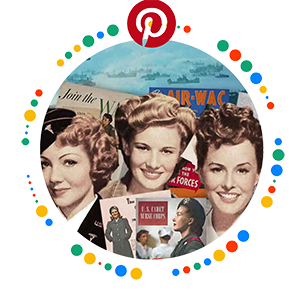 If you are not fortunate enough to visit What Katie Did stores in person, you can browse their online store and have your garments delivered to your home.